I really love this ad. 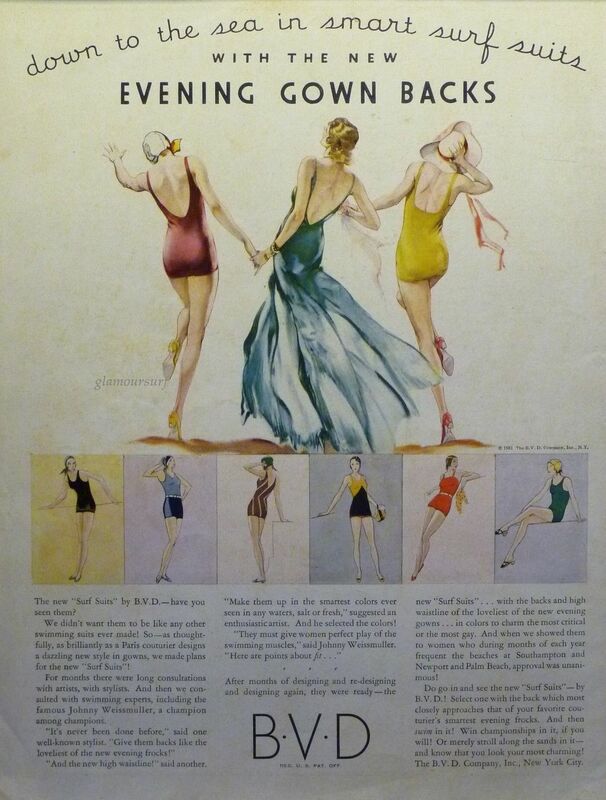 The year is 1931 and the ad is by swimwear maker B.V.D. In the early 1930s the backs of bathing suits began to show more skin and reach towards the waistline. The continuing arrival of fashion from Paris and the current healthful benefits of the sun were everywhere to be seen and swimwear manufacturers were taking note! Aren't the jewel tones of the times wonderful too? Enjoy!